Blood is a body fluid that is in constant motion flowing through arteries and veins. To maintain this motion, the heart has to generate enough force to pump the blood through these vessels. In most circumstances, clots form as the body takes steps to repair injured blood vessels. After the body detects an injury, the body activates the release of platelets and chemicals to begin the clotting process. However, clots also form when the body is not undertaking normal repair processes. When this happens, the consequences can be fatal if not debilitating. The following are five common blood clot symptoms. This symptom occurs when clots form in major blood vessels of the leg (Deep Vein Thrombosis (DVT). These clots can be dangerous if one does not seek treatment early. The clot can also form in blood vessels found in the pelvis or arms. When a clot forms in the leg, you may experience swelling and aching. 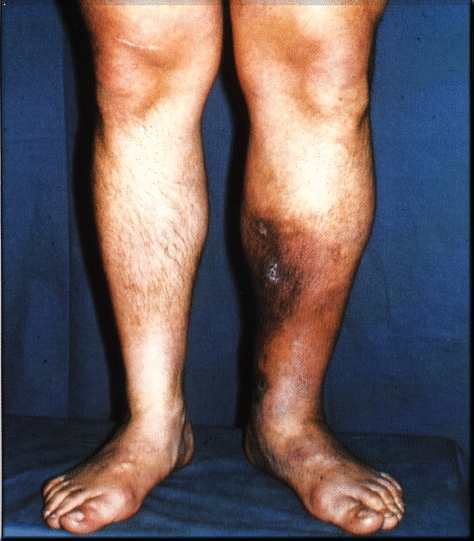 The leg may also acquire discoloration that looks reddish. In addition, one may experience warmth while touching the affected leg. It is important to note that these symptoms are not universal. In fact, some people do not exhibit DVT symptoms at all. The medical term used to describe such a situation is asymptomatic. Blood clots can detach from the point of origin and travel to other parts of the body. Since the clots follow the flow of blood around the body, it is easy for the journey to end up in the lungs. As a result, these clots obstruct the proper flow of blood. Doctors refer to such a clot as a pulmonary or lung embolism. At the same time, shortness of breath, fatigue, and rapid heart rate may accompany the chest pains. If you experience a deep throbbing sensation or irritation under the skin, this is most likely thrombophlebitis. Usually, this happens if the affected vein is very close to the surface of the skin. The same is true if the clot forms inside one of the major veins. The irritated area may also feel hard when touched. According to the Mayo Clinic, many people never exhibit this symptom. To find out if you have a thrombophlebitis, visit your doctor for tests. A phlebotomist will have to draw blood to test for the presence of D dimer. This is a clot dissolving substance found in people with a high-risk developing thrombosis. If you are experiencing cramps at night, you might have clot hiding somewhere in your veins. 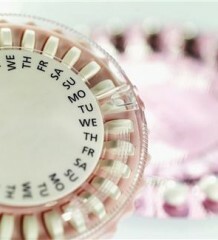 Even though these may be intermittent, it is not wise to shrug off the dangers posed by such cramps. Make sure you visit your doctor for thorough examination. If you have experienced recurrent miscarriage in the past, this may be due to a clot. In particular, medical practitioners refer to this type of clot as thrombophilia. While it is not common in all women, it occurs in women with prothrombrin gene mutation and factor V Leiden mutation. If you have ever experienced any of the aforementioned symptoms, it is advisable to seek medical treatment. While most people dread visiting the doctor’s office, neglecting blood clot symptoms could have dire consequences, even lead to death. To prevent the dreaded trip to the emergency room, take precautions early in advance such as regular exercise or stretching at home. For people who are obese or over 60 years of age, physical activity can be the difference between premature death and long life. A routine blood test carried out at the hospital by the resident phlebotomist can also spare you future complications. Donna Yates is a writer who specializes in health articles. Her site http://www.phlebotomytrainingbook.com/certification/ offers free phlebotomy training advice.